Eligibility and division is determined by age as of June 30, 2018. Each contestant may only enter one category and one Open Class in Ensemble. A valid identification document with photograph will be requested for age verification at the competition. 1. All contestants must play with piano accompaniment. Contestants may provide their own pianist or use the pianists provided by HKICEF, with a flat rate of 1200HKD for 2 rehearsal sessions of 1 hour each and the competition. 2. All contestants will have to be responsible for their own accommodation. We can provide a list of hotels affiliated accommodation choices at a special rate. The competition will consist of 2 rounds. 1st round for Ensemble, Piano and Violin Concerto Competition will take place between August 20 and August 23, 2018 at the Youth Square Hong Kong and/or other assigned venues. 5 finalists will be selected from each category to contest in the final round on August 24/25, 2018 at the Y Theatre at the Youth Square Hong Kong. The list of finalists will be posted online by end of August 23, 2018 and will be contacted by the organizer individually. The competition for all categories will be opened to public audience. All works are to be performed from memory by the contestant. 2. 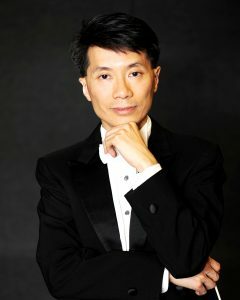 Contestants may choose one piece by one composer with a master score and send to the organization by email, for approval before allowing entering this competition group. 3. Memorization is not required. 5. Contestants must upload all the parts score (for each instrument) and master score of the competition piece together with the application. 6. The jury may not hear the pieces in their entirety. This does not reflect negatively on the contestants. 7. Please Note: It is the contestants’ responsibility to show up at the competition site on time. 8. Contestants must bring a copy of their music (no illegal photocopies) for the judges during the competition. Without proper music, the contestants will be disqualified. All winners will receive a trophy. In addition to the cash prize, the first prize winner will also be invited to perform with the Hong Kong Metropolitan Pop Orchestra at the Gala Concert on August 26, 2018, at the Y Theatre, Y Square, Hong Kong. Two jury members will be at each 1st round competition. The full jury panel will be at the final competition. Mark sheets will not be given out but each contestant will receive a competition certificate and the comments. The decision of the jury is final and not subject to questions, revisions or appeal. The organizer reserves the rights to disqualify contestants. The decision of the jury is final and not subject to questions, revisions or appeal. In the 1st round competition, the jury has the right to terminate the performance when they feel appropriate and need not to provide any reason. All contestants are responsible for transportation arrangement to and from the competition venue. All contestants should dress appropriately for the competition. Rules, regulations, awards and judging panel are subject to change without prior notice. In case of discrepancy between the Chinese translation and the original English text, the English version prevails. For all enquiry or submission of application form, please email : hkconcertocompetition@hkmetropop.com .